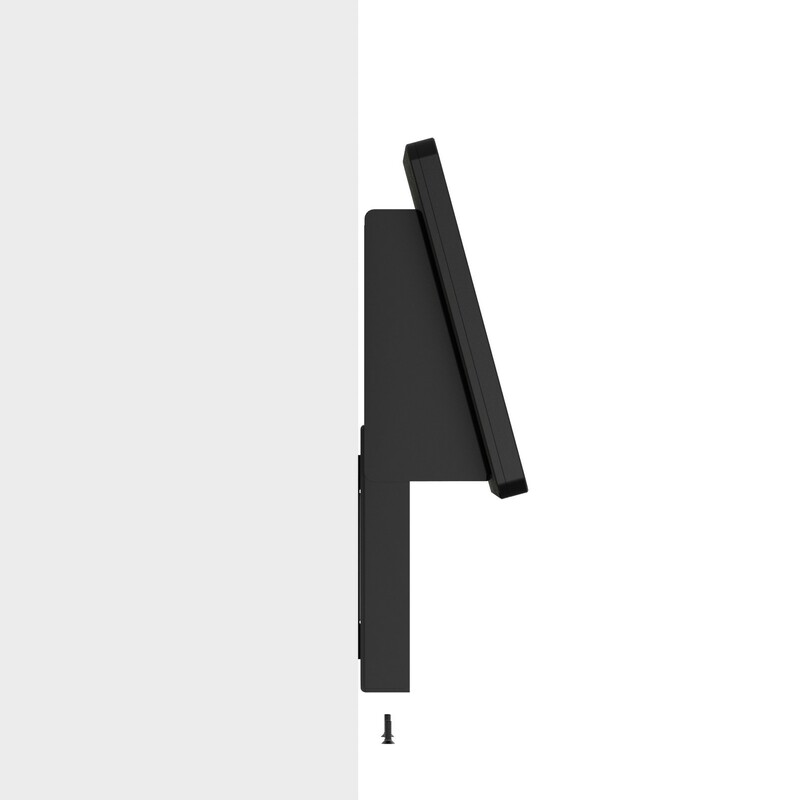 The 15° Fixed Tilted Wall Mount is at the optimal angle for kiosk engagement. 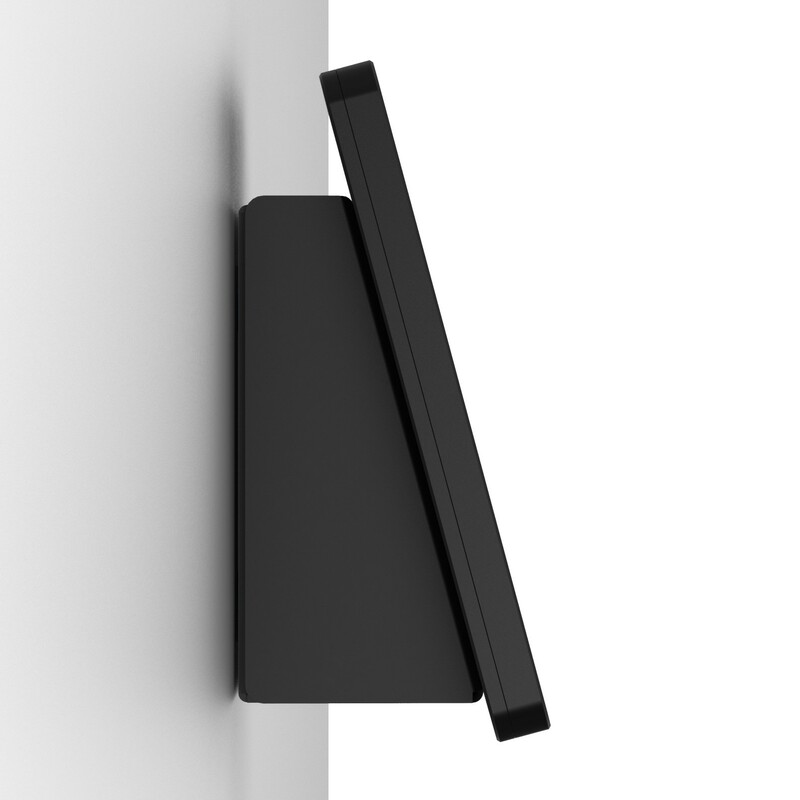 When mounted to a wall, the tilt allows customers, clients and people to have a comfortable angle for ease of use. 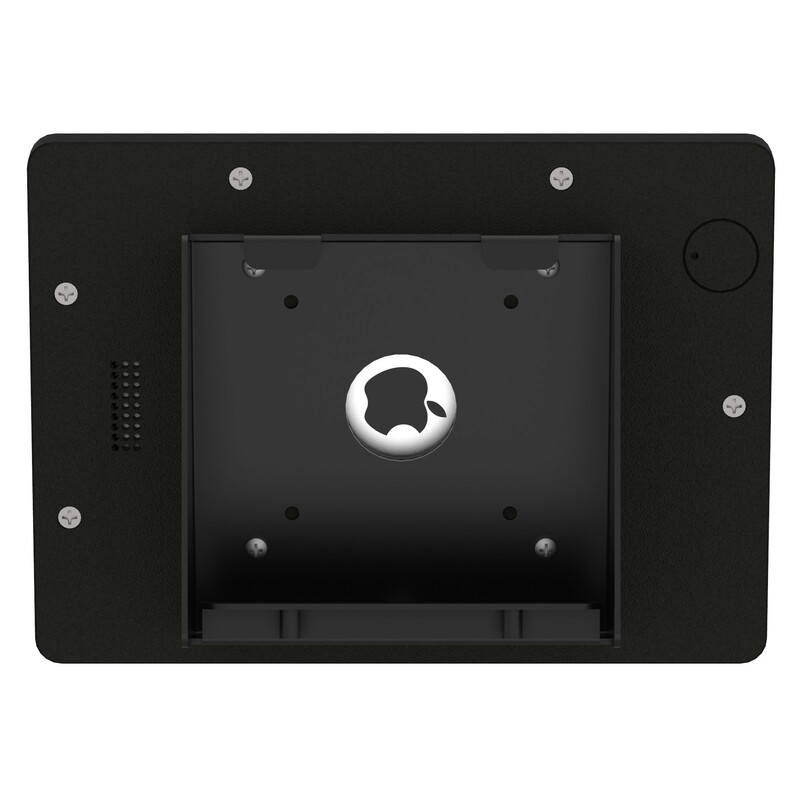 Installing this mount is also simple - just choose one of the many mounting options. 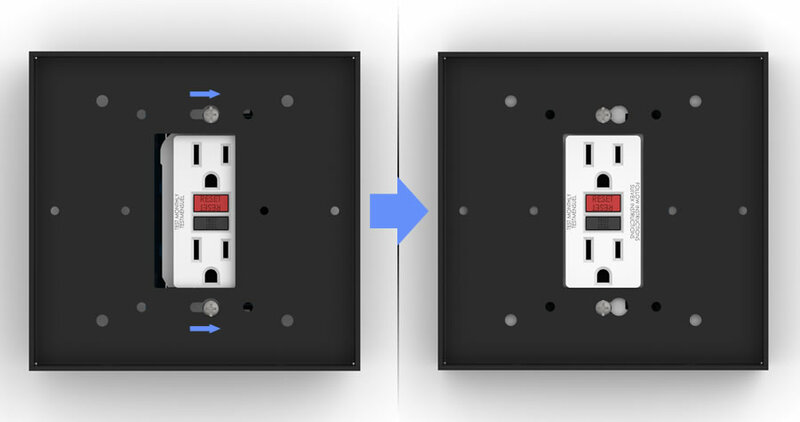 Mounting to either a single or double electrical / gang box is ideal for retrofitting or using an existing decora electrical outlet. 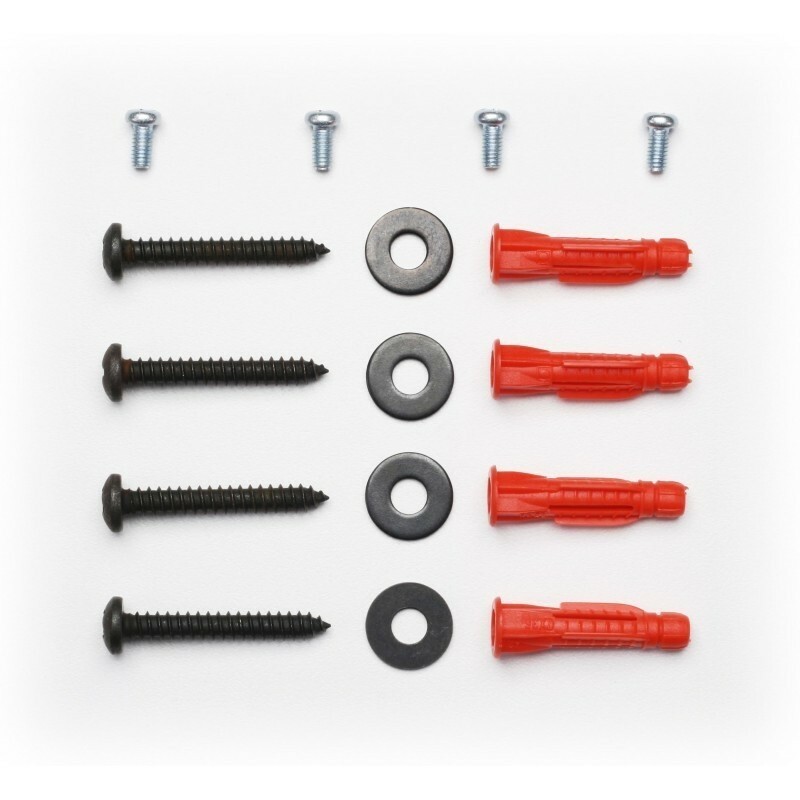 Easily mount directly to dry wall and masonry walls. 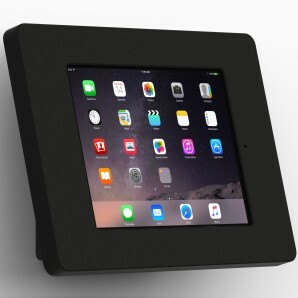 This mount truly has a wide array of mounting options to fit your project's needs. 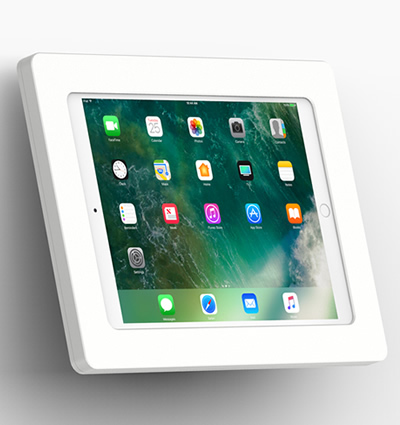 The kiosks mounting options allow it to be installed to an already existing single or double gang box, or directly onto drywall. 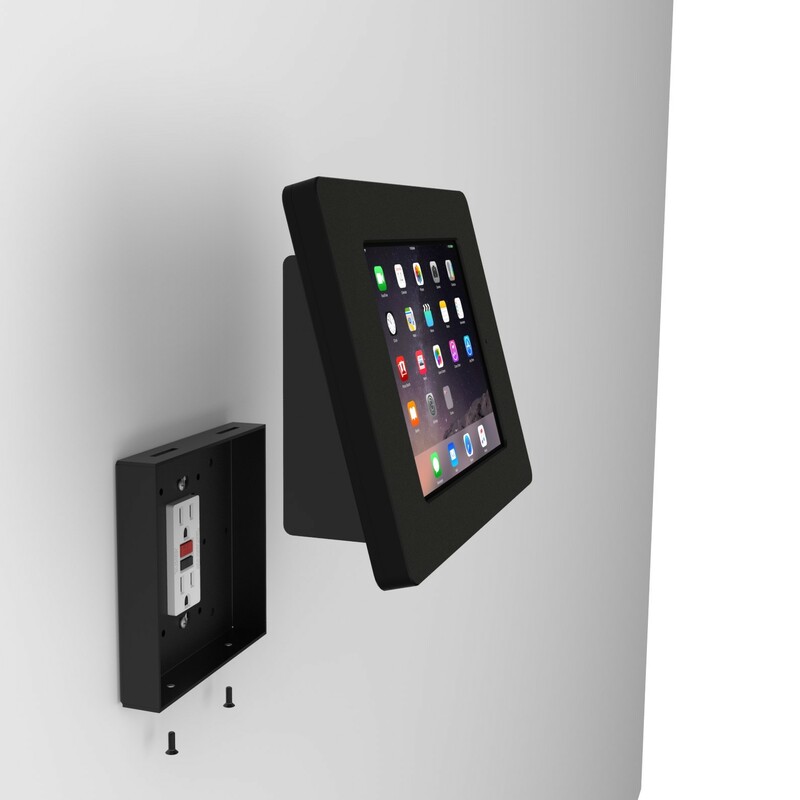 Furthermore we can install this kiosk on top of a decora style electrical outlet - no need to run new power connections to the tablet. 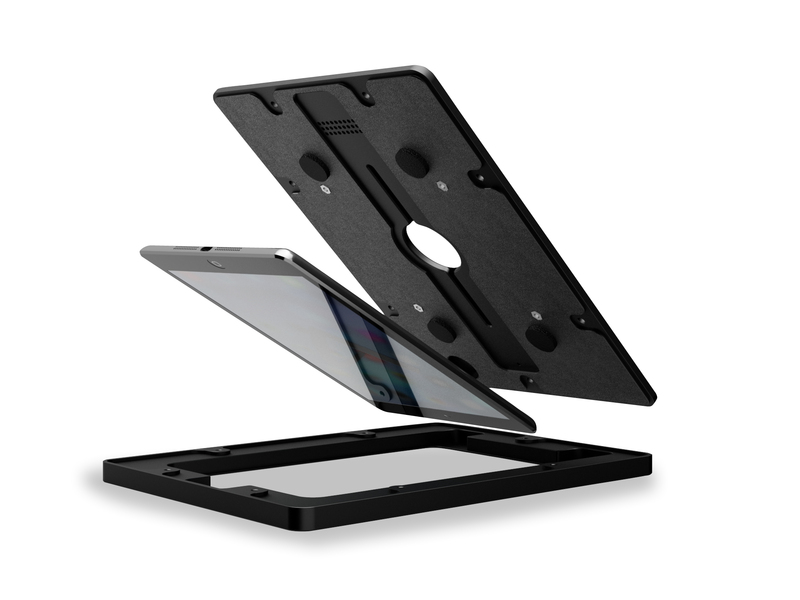 The power components that natively come with the tablet, can be plugged in and comfortably tucked inside the mounts chamber. All of this making for a clean looking and efficient kiosk. 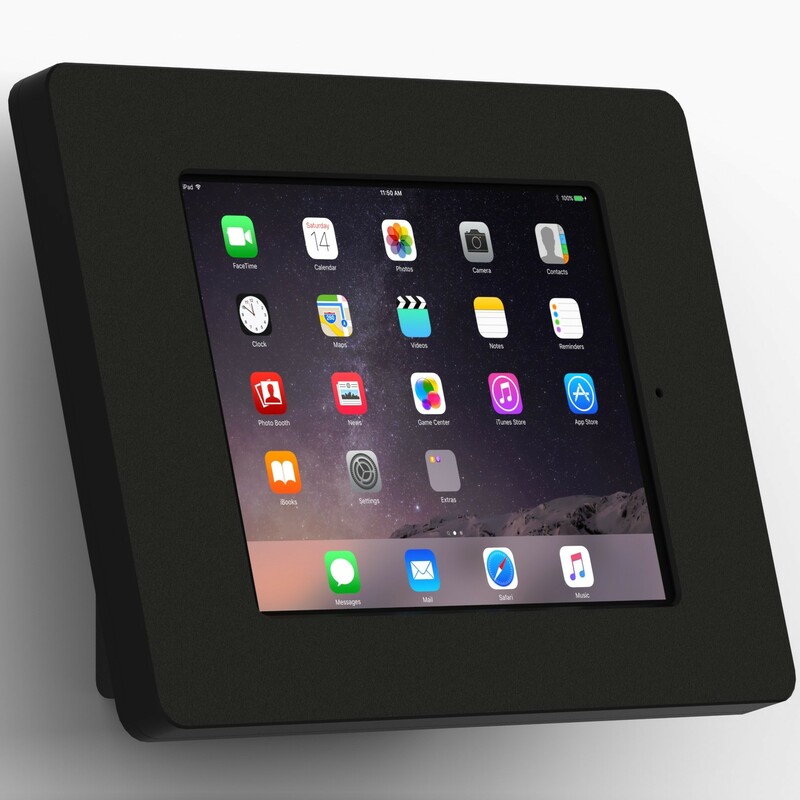 This Tablet Kiosk has many options - truly one of the most versatile wall mounting kiosks we've ever had. 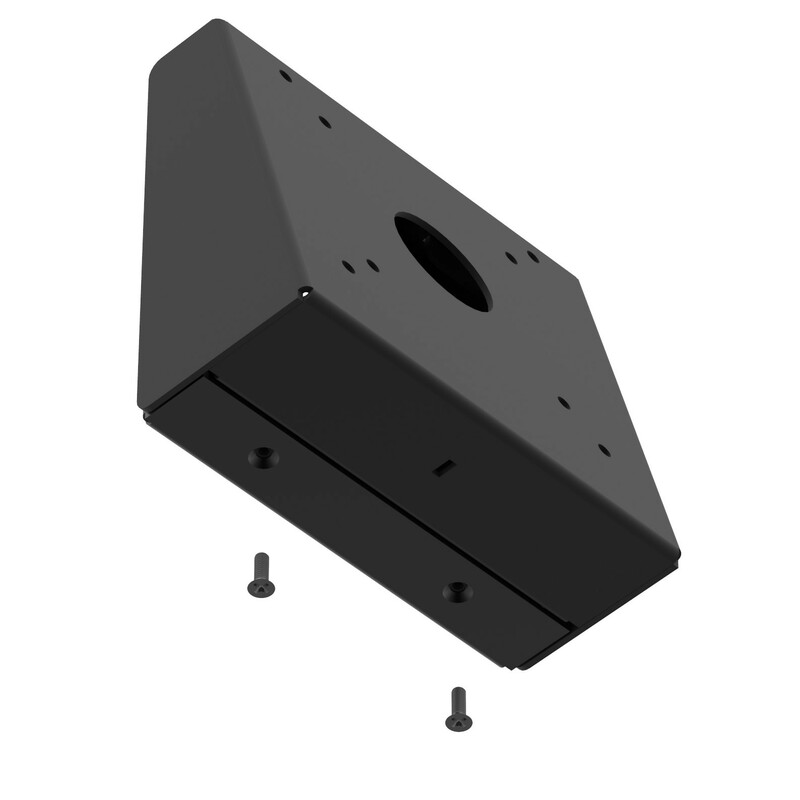 The 15° Fixed Tilted Wall Mount is at the optimal angle for kiosk engagement. 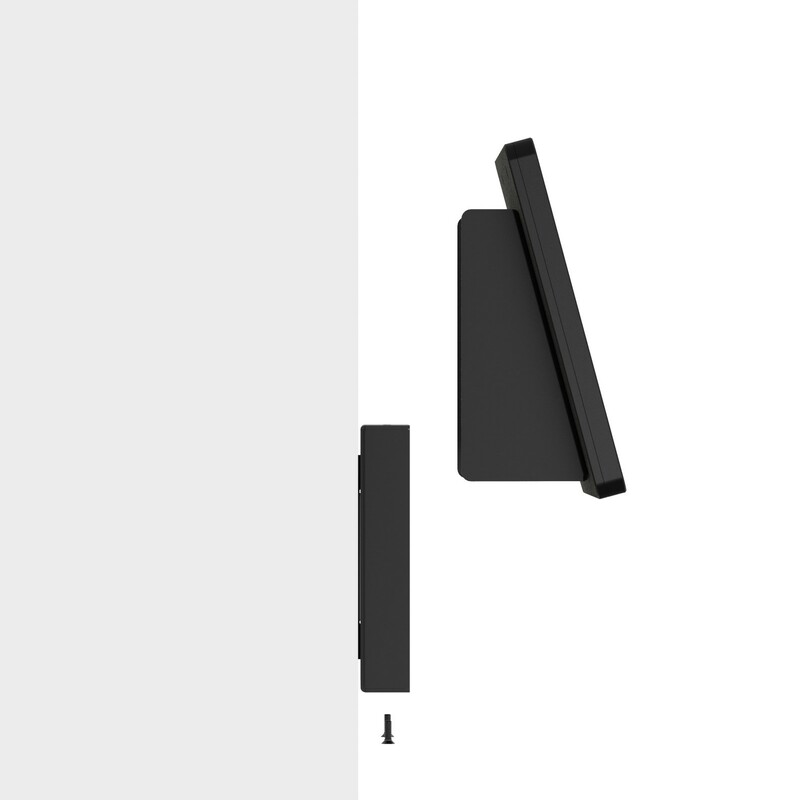 If mounted to a wall, the tilt allows customers, clients and people to have a comfortable angle for ease of use. 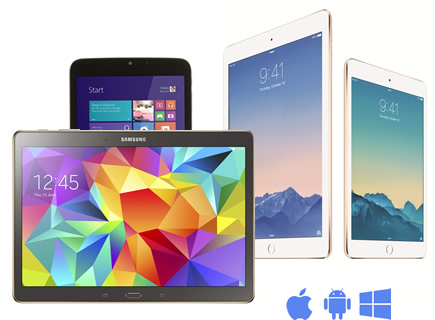 Want to use an already existing electrical outlet to power a tablet? 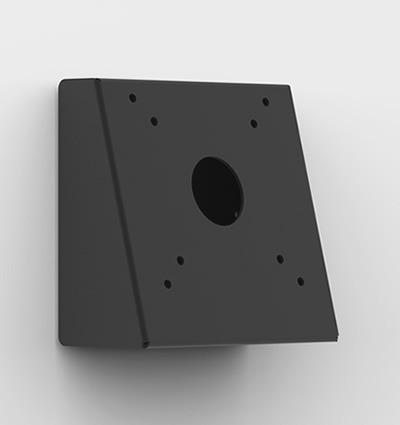 Our 15° Fixed Tilted Wall Mount can be installed over the top of a decora style or GFCI outlet - taking the place of the faceplate. Simply remove the face plate and loosen the screws for the outlet. Then use the keyhole design pattern on the wall plate of the mount to fit over the outlet. Next tighten the screws for a clean finish and polished installation. 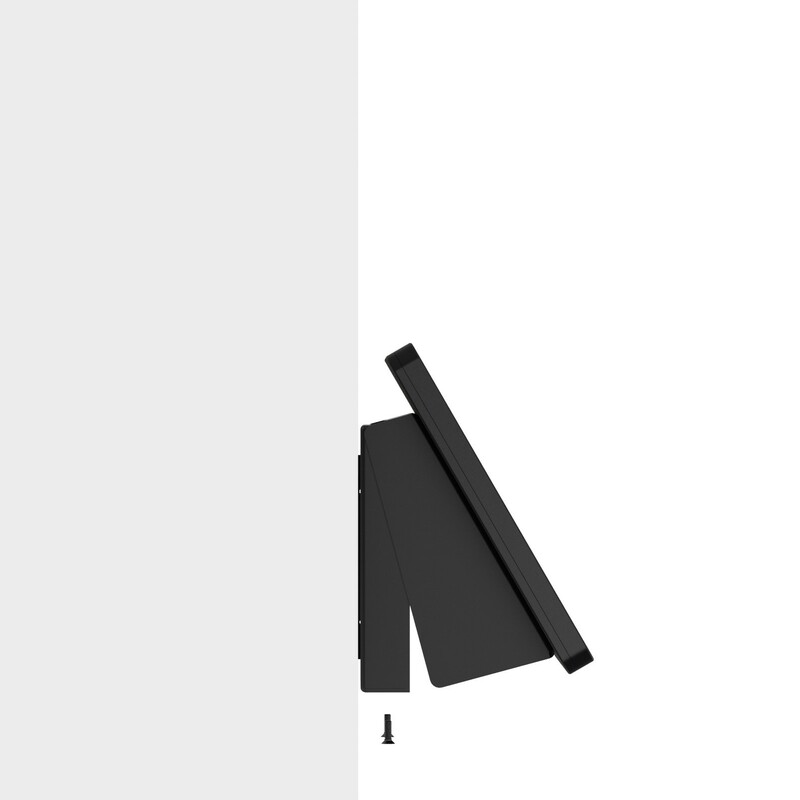 What would you rather do: Make a huge rectangular cutout? 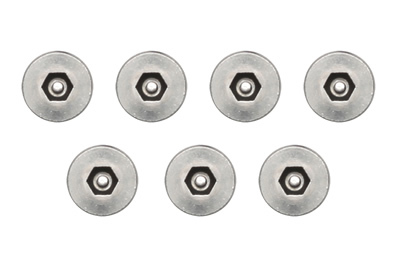 Or, mount onto an existing gangbox in your wall / drill in (4) screws? (We are guessing the latter!) Luckily, that's all we'll need to do to install the 15° Fixed Tilted Wall Mount. 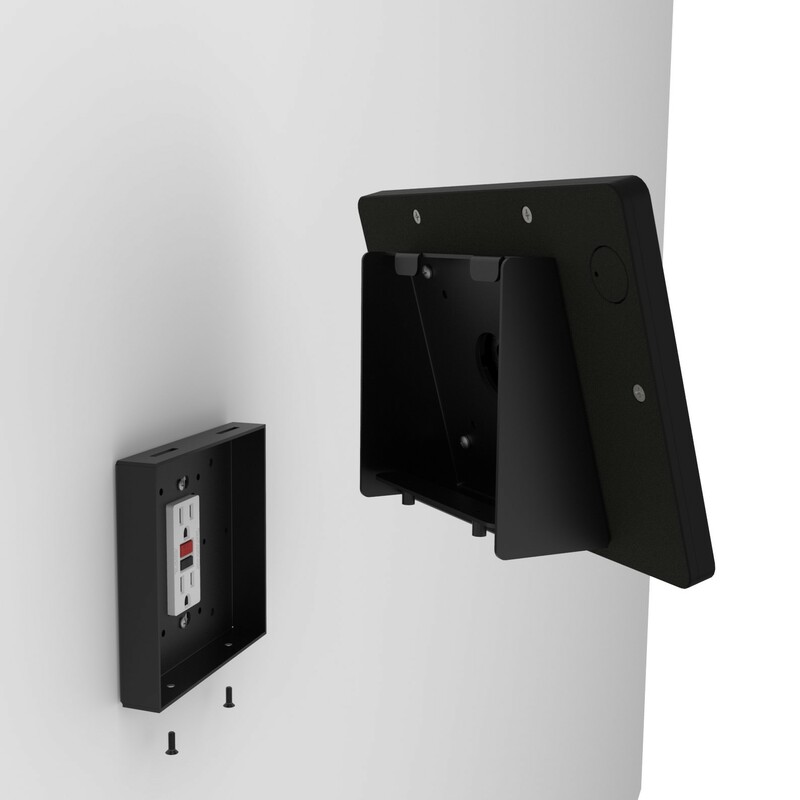 The wall plate allows for numerous mounting options. 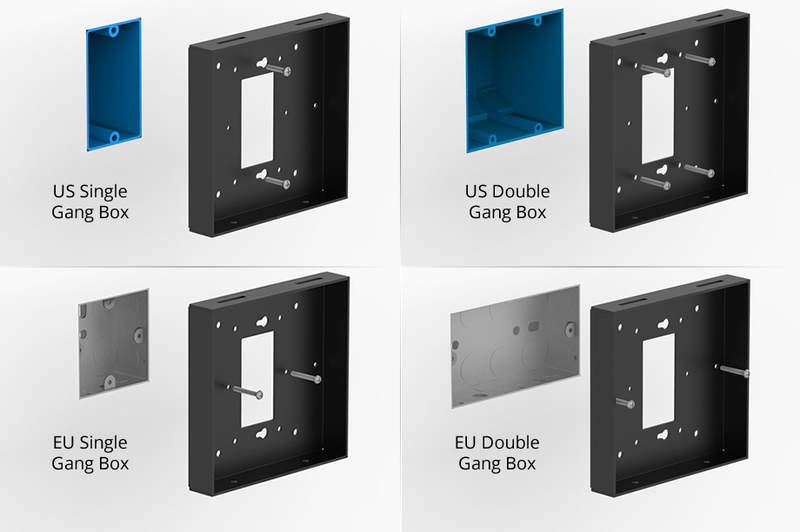 There are mounting and screw patterns for the single and double gang EU electrical / back boxes. As well as patterns for the North American equivalents - the US single and double gang boxes. This mount can easily adapt to whichever electrical box is already installed - making retrofitting easy! Don't have a gang box to mount to? 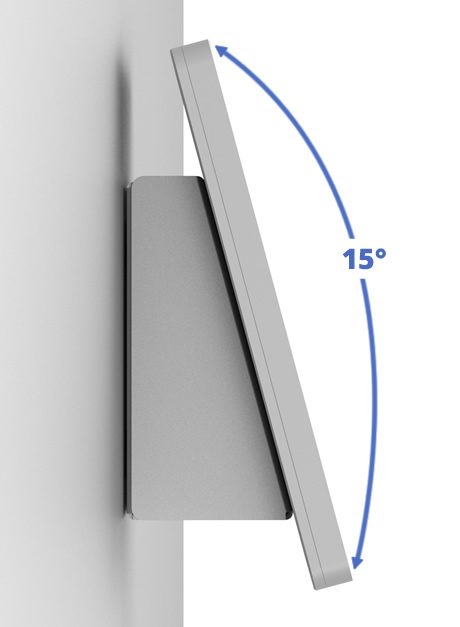 No problem - mounting directly onto drywall is simple. 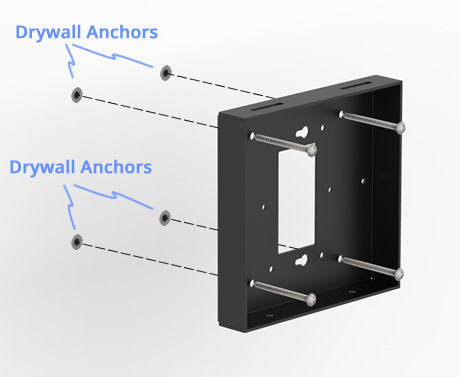 The 15° Fixed Tilted Wall Mount is kitted with wood screws and drywall anchors to accomplish this task - mounting made easy! 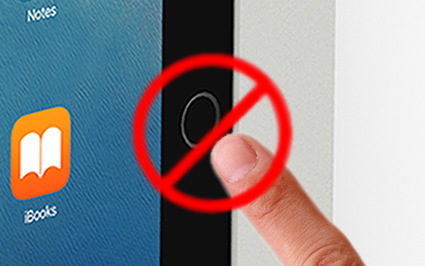 Need to fit a plugged in tablet's AC adapter / "power brick" within a kiosk? 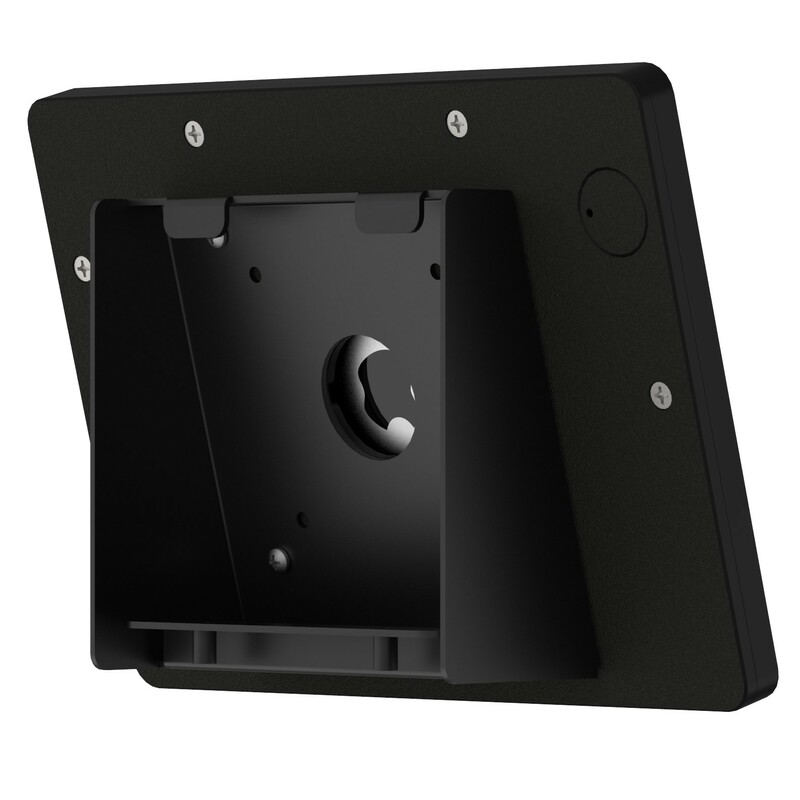 Storing and hiding powering components of the tablet is easy with our 15° Fixed Tilted Wall Mount. There is more than enough to plug the tablet's powering components into an overlaid outlet - if additional room is need, use the included 1ft extension cable for a better wiring configuration. 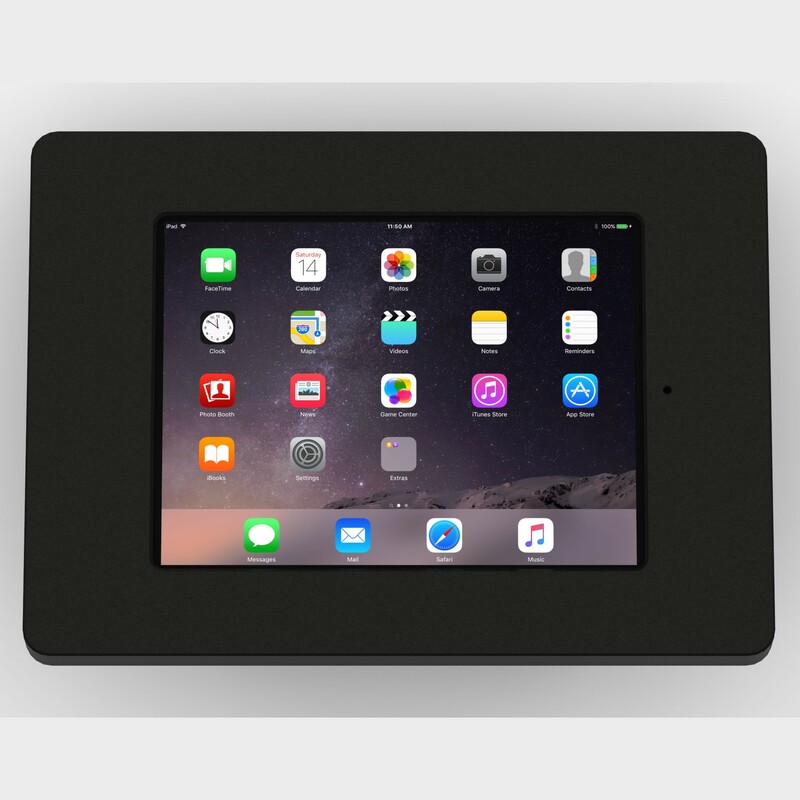 Also PoE and other adapters can be kept out of site inside this mounts roomy storage chamber. 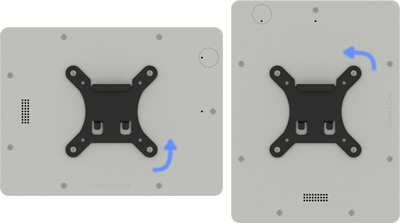 With through holes on both the wall and VESA plates in its design, we can easily pass cables from our mounted VESA ready device. 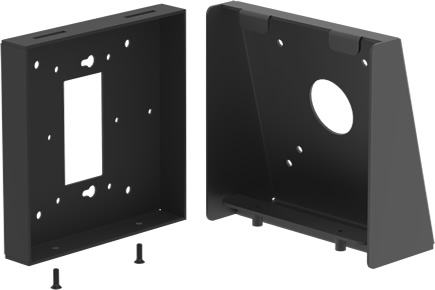 No need to make additional cut outs or punch additional holes when using our VidaMount enclosures!